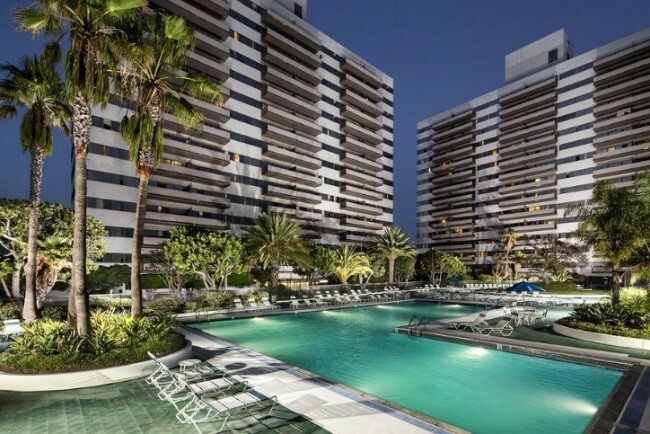 Walker & Dunlop, Inc. (NYSE: WD) announced that it recently closed a portfolio of four refinance loans on behalf of Douglas Emmett, Inc. (NYSE: DEI), a leading real estate investment trust with a focus in the Southern California and Honolulu markets. Approximately 90 percent of the total loan amount, or close to half a billion dollars, qualified for Fannie Mae’s Delegated Underwriting and Servicing (DUS®) Green Rewards program, making it the largest transaction to date closed using Fannie Mae’s Green Rewards. Walker & Dunlop Managing Director, Allan Edelson, led the team that structured and closed the loans in the second quarter of 2017 with an all-in rate of under 3.2 percent. The interest-only loans are backed by four Class-A apartment properties located in Los Angeles and Santa Monica, California. Through June 30, 2017, Walker & Dunlop has closed $3.8 billion in Green financing.